Killer NM- copy of this incredibly tough issue to track down in high grade! 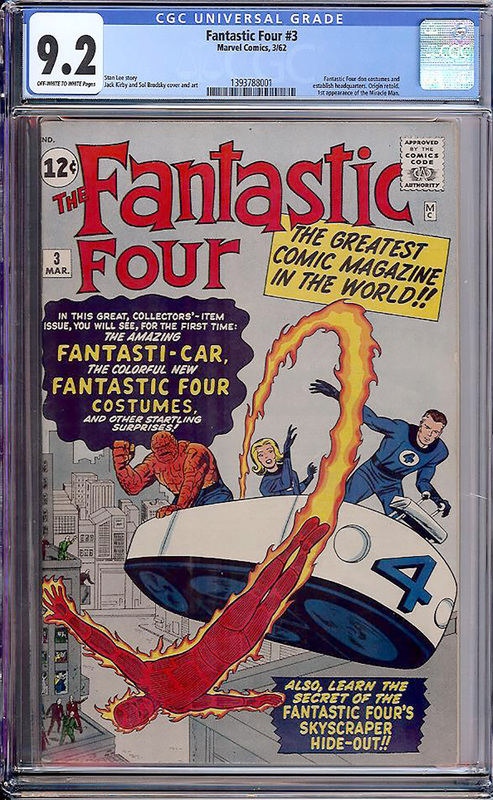 Just graded by the experts at the CGC. Stands tall as the 4th highest certified and 5th finest known copy behind only 1 in 9.8, 1 in 9.6 and 2 in 9.4! Easily the nicest 9.2 you will find with its exceptional structure, deep color strike and beautiful off-white to white pages! You NEVER see this early Silver Age issue look this nice (it's cover dated March, 1962) and have such immaculate page quality and it is very rare to find a copy this nice for sale. The last 9.2 sold for $19,120 at auction in November, 2015. The curator 9.2 sold for $22,705 in February, 2012. Features the first appearance of the Miracle Man!